We all know that calcium is an important ingredient when it comes to building and keeping strong bones. But your skeleton isn’t the only thing that relies on calcium. The truth is, each one of our teeth is made up of 70% calcium! That makes this mineral essential for a lifetime of good oral health. But how much calcium do you really need to reap all of its benefits? Why is it important to keep fueling our bodies with calcium? Our Kettering dental office is here to answer those questions and more. Even if you’re consuming your recommended amount of calcium daily, your Kettering dentist wants you to know that you may still not be replacing what your body uses up. 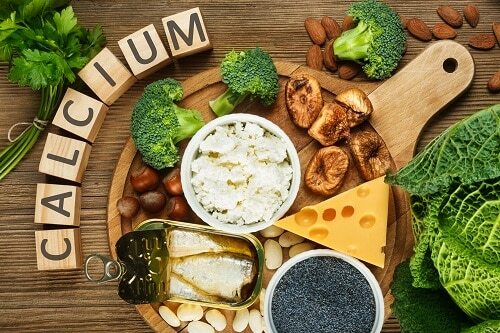 In order for calcium to be properly absorbed by the body it needs the helping hand of vitamin D. So as you’re loading up on calcium-rich foods, make sure to also choose some options with a good amount of vitamin D to really replenish your body’s calcium levels. The team at our dental office in Kettering encourages all of our patients to eat not only their recommended daily intake of calcium, but an overall well-balanced diet to keep their bodies, and their smiles, healthy.